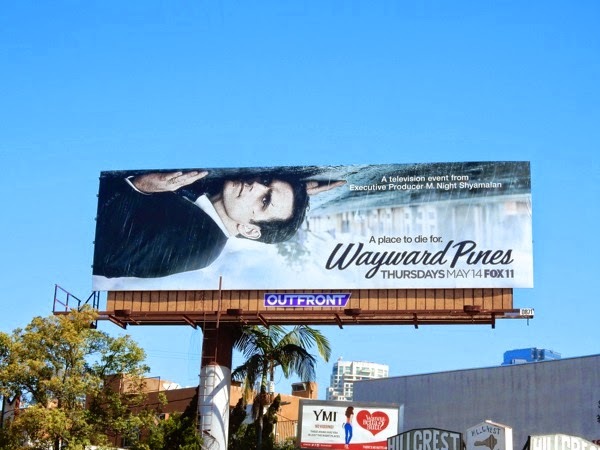 Can the M. Night Shyamalan, the writer and director of final act surprise mystery thriller, The Sixth Sense, find his mojo again on the small screen after a series of box office flops with Wayward Pines. 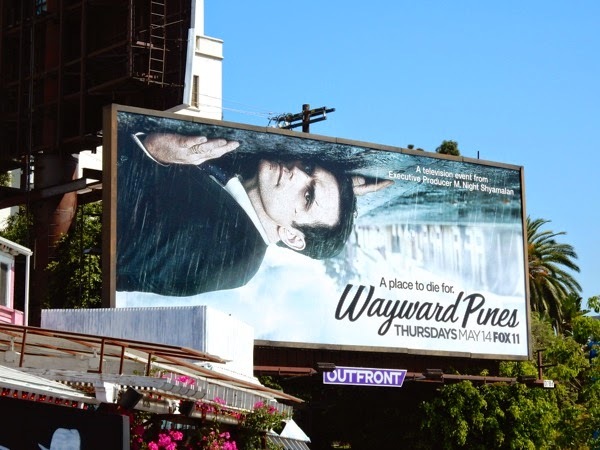 Based on the novel Pines by Blake Crouch, inspired in part by David Lynch's surreal iconic TV series Twin Peaks (also headed back to television courtesy of Showtime), Matt Dillon stars as a U.S. Secret Service agent investigating the disappearance of two federal agents in a mysterious small Idaho town with some dark secrets. 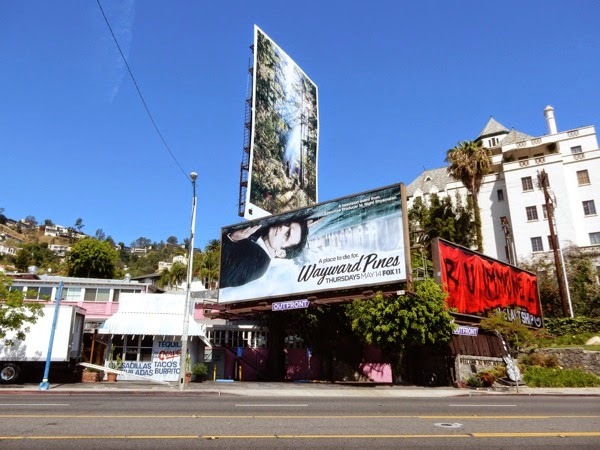 Can this new drama turn heads in the same way that this unconventional upside-down ad creative challenges our visual perspective. 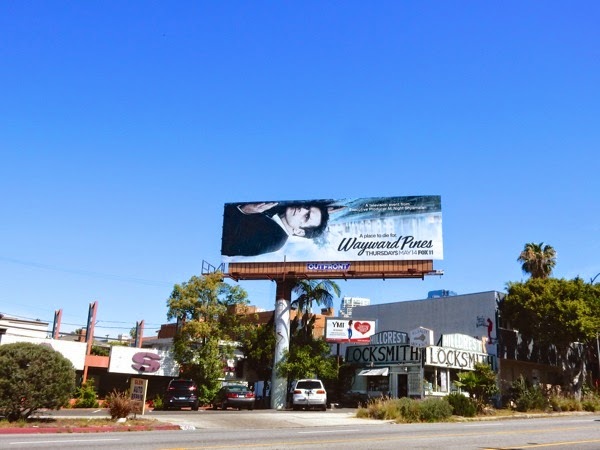 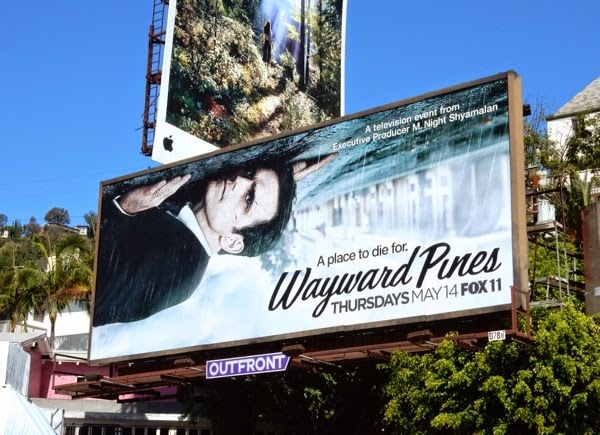 These Wayward Pines mini-series billboards were first spied along the Sunset Strip in West Hollywood on March 31, plus later along Pico Boulevard in Century City on April 4, 2015. 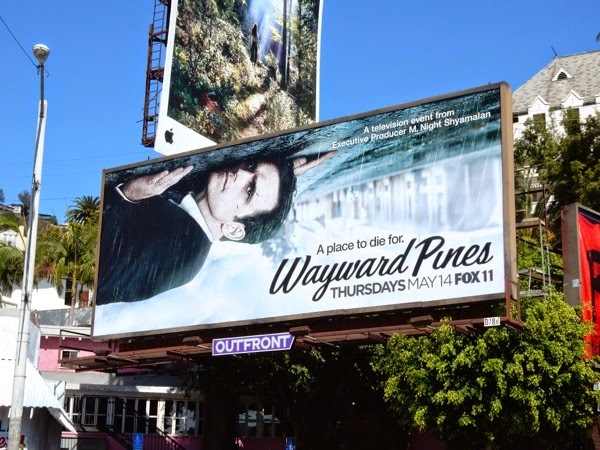 Let's hope Wayward Pines isn't just a mystery wrapped in an enigma wrapped in a mess of a TV show, and the real shocking surprise is that it can wipe away the memory of the wasted hours of The Happening, Lady in the Water, The Last Airbender and After Earth.